22 May 2018 --- The European Food Safety Authority (EFSA) has approved an application for the novel food status of a shrimp peptide concentrate, meaning that the ingredient can now be utilized in EU supplement applications. The application was made by the company Medfiles Ltd. on behalf of Marealis, a developer of science-backed nutraceuticals. 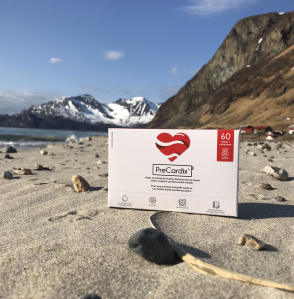 The supplements will be marketed to those who want to address the problem of prehypertension in the Marealis product, PreCardix. “The EFSA approval means that we will now be able to start working on commercialization in Europe. It also means that all our regulatory processes are completed with huge success – receiving approvals from Health Canada, FDA and EFSA,” Andreas Semmingsen, Head of Market and Finance at Marealis tells NutritionInsight. “We have strong documentation showing a significant blood pressure lowering effect from using PreCardix. In Canada, where we just started sales, we have an approval to use the following health claim: ‘Helps to Click to Enlargemaintain healthy blood pressure levels and to support cardiovascular health,’” Semmingsen adds. 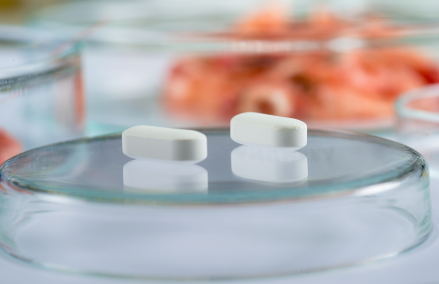 Following a request from the European Commission, the EFSA panel of Dietetic Products, Nutrition and Allergies (NDA) were asked to deliver a scientific opinion on shrimp peptide concentrate as a novel food (NF). Marealis provided scientific studies and data on the shrimp peptides health benefits. During the process, one key concern was the potential astaxanthin content of the product because shrimps are a natural source of this carot Click to Enlargeenoid, which gives them their reddish color. This concern was initially raised by The Finnish Food Safety Authority. However, the shrimp peptides were approved to be marketed to adults at the maximum proposed level of intake of 1,200 mg a day. There were no concerns with regard to genotoxicity, the available human data do not raise safety concerns and there were no considered adverse effects for oral toxicity. Marealis is a Norwegian marine biotechnology company focusing on the development of novel bioactive peptides derived from sustainable sources of the Arctic Ocean.